The news was plagued with images of Hell on Earth as fires ripped through Northern and Southern California. The fires were relentless, leaving smoking chimneys as the only remnants of multi-million dollar homes. 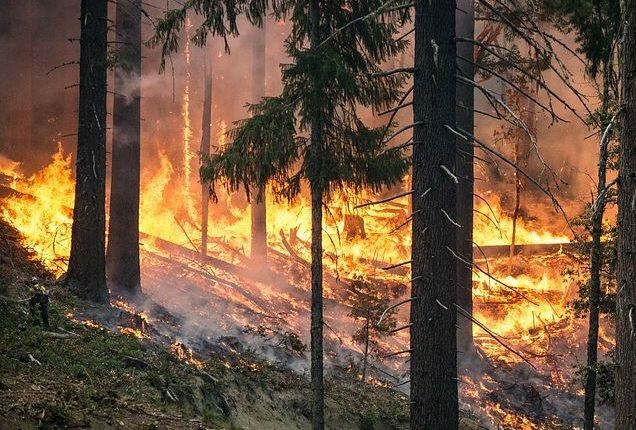 The California Department of Forestry and Fire Protection reportsThe devastation is utterly unfathomable. Many wildfire victims had only minutes to evacuate their homes losing everything but the clothes on their back and few mementos they could grab before leaving. As the dust begins to settle for those greatest affected by this destruction, the reality hits that those who are supposed to make you whole again may not have your best interest in mind. Eight bills have been submitted to California legislators regarding insurance companies’ relationship with victims. Legislators were flooded with phone calls from citizens who were being inundated with misinformation and the inability to recover money to rebuild their homes. Insurance adjusters told many that they did not have enough insurance to cover rebuilding. Some were given false information about their rights after a total loss of their residence. Complaints about out-of-state adjusters not knowing California law filled the phone lines. 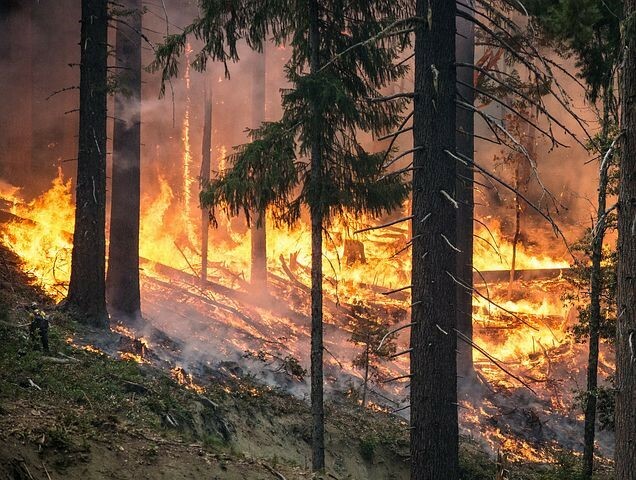 Many of the bills focus on requiring insurance companies to cover full replacement costs and would make it difficult for insurers to cancel policies or reduce coverage in areas at highest risk for wildfires. Complaints from survivors prompted California Insurance Commissioner Dave Jones to issue a formal notice. In the statement, Jones stated “all claims adjusters assigned to wildfire claims, including those not licensed in California, are properly trained on the California Unfair Practices Act, Fair Claims Settlement Practices Regulations and all laws relating to property and casualty insurance claims handling. Incorrect time frames – survivors were told that they had only 6 -12 months to collect full replacement cost to rebuild when California law requires that they are given at least 24 months in a state of emergency. Incorrect rebuilding location recovery – policyholders were told that they would be unable to receive full replacement benefits if they did not rebuild in the same location. California law allows for a survivor to rebuild in a new location or choose a home that is already built. Incorrect living expense coverage – claimants were informed that their living expense would only be allocated for 12 months when California law allows up to 24 months after a state of emergency. Given the frustrating state of affairs and the slow legislative process, the best advice for anyone affected by a natural disaster is to contact an attorney. The interests of a policyholder and their insurance company are naturally at odds. The conflict comes down to financial interests. The more that the insurance company has to pay out, the less they make in profits. An attorney can help you understand your rights. They can help you negotiate your claim and fight for what you deserve. Unfortunately, your adjuster may not be giving you accurate information. The California Department of Insurance found that many adjusters did not know California law after a state of emergency is declared by an official. Many were poorly trained and gave false information about policyholder benefits. An attorney will fight to make you whole again and will not rest until you get the recovery that you deserve. If you or a loved one has been affected by the recent wildfires contact Amicus Media Group immediately. We work with attorneys from across California that can help you understand your rights and get you the recovery you deserve. This blog post does not contain legal or financial advice. Author and publisher disclaim any and all warranties, liabilities, losses, costs, claims, demands, suits, or actions of any type or nature whatsoever, arising from or any way related to this blog, the use of this blog, and/or any claim that a particular technique or device described in this blog. The US Department of Health and Human Services reports that more than 115 Americans die every day from opioid overdose. These opioids include OxyContin made by Purdue Pharmaceuticals. In response to the growing crisis that is affecting nearly every sector of the population, Purdue announced that it will no longer be marketing to doctors. The company has reduced its sales team and is restructuring their focus from direct, in-person marketing to physicians to helping to combat the crisis. Opioid overdose is nothing new. Opioids include prescription painkillers such as OxyContin and Hydrocodone, but also include opiates such as morphine and heroin. Overdose from opiates has happened throughout time, but the huge increase over the last two decades can be directly related to the increase in sales of prescription pain killers. The U.S. Drug Enforcement Administration estimates that 40% of all opioid overdoses were due to prescription opioids. The overall number of deaths from opioid overdoses increased five times since 1999. Doctors were told that the prescription pain killers being given to patients were not addictive. Aggressive, direct-marketing to doctors by pharma giants Purdue and others, led to a large increase in prescriptions and, in turn, a large increase in the number of patients who became addicted to these substances. 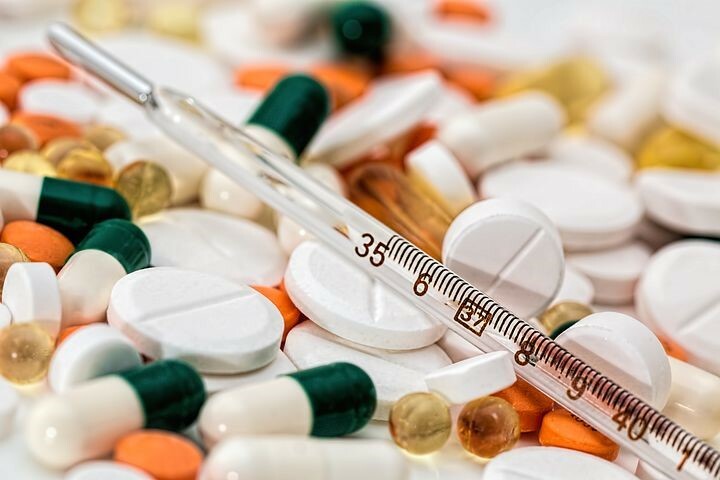 Documents from cases settled regarding the misleading information distributed by sales representatives for the pain killers indicates that employees were told to minimize the addictive quality of the drugs. Major sales tactics began almost immediately after the US Food and Drug Administration approved the drug in 1996. Sales of the drugs quickly drew into the billions for pharmaceutical giants manufacturing the drugs. Government agencies, consumers and others have begun filing lawsuits against opioid manufacturers. A federal judge overseeing more than 200 lawsuits regarding the epidemic urged the focus to be to “dramatically reduce the number of opioids that are being disseminated, manufactured and distributed.”  Purdue in a complete reversal has agreed to join these efforts by stopping the promotion of OxyContin to doctors and find ways to fight misuse and overdosing. Are you an attorney interested in representing individuals afflicted by the opioid crisis? Now is the time to get involved. Opioid litigation is heating up and too many individuals have suffered at the hand of drug manufacturers and distributors. Amicus Media Group can help you acquire cases with comprehensive media campaigns. We work with digital marketing campaigns, TV and radio ads to help you get the cases you deserve. Contact us for more information today. Johnson & Johnson’s stock fell five percent on a recent Monday alone. The market decline comes after a report was released that could expose documents detrimental to the company. Johnson & Johnson is facing thousands of lawsuits regarding its baby powder. Many claim that the Talc powder manufactured by J&J contains asbestos causing ovarian cancer and mesothelioma in some patients. Johnson & Johnson has repeatedly denied that the product contains these products. This comes after several verdicts against the pharmaceutical giant. Baby powder is considered a cosmetic and therefore does not require the same US Food and Drug Administration testing as prescription and over-the-counter drugs. Currently there are over 5,500 lawsuits pending against the drug company regarding their baby powder. The company continues to defend its product saying that the Talcum powder contained in the product is safe. The lawsuits hinge on the argument that Johnson & Johnson failed to adequately warn consumers about the risk of repeatedly applying the talc-based product to their body, particularly the increased risk of ovarian cancer when talc is applied to the genital area. Record verdicts have been returned in some of the first talcum powder cases to go to trial. In one California case, a plaintiff was awarded $70 million in compensatory damages and $347 million in punitive damages. A Los Angeles Superior Court Judge has since reversed the jury’s verdict. A new trial is pending in the matter at Johnson & Johnson’s request. The debate over the safety of talcum powder has existed since the 1970s. To date, the matter has not been definitively settled. The International Agency for Research on Cancer has classified talc-powder, when repeatedly applied to the genital area, as “possibly carcinogenic to humans.” Some talc-based products manufactured by other companies contain a warning about the possible link to an increased risk of ovarian cancer. Johnson & Johnson, however, maintains that its product is safe and free from harm even with repeated use. If you or a loved one has developed mesothelioma or ovarian cancer after repeated use of Johnson & Johnson’s baby powder, you need to speak to an attorney immediately. Call our offices today to speak to a knowledgeable case manager. We work with the top firms across the nation who handle talcum powder litigation. Amicus Media Group provides comprehensive marketing campaigns for attorneys and law firms. We are dedicated to providing case acquisition with less risk. Contact our offices today to learn more about talcum powder litigation and the pending lawsuits against drug manufacturers such as Johnson & Johnson. Young lawyers can face some uphill battles out of law school. The dream of defending the innocent, prosecuting the guilty or triumphing for the little guy is quickly overshadowed by the crowded practice of law. Recent articles such as Huffpost’s “Mamas, Don’t Let Your Babies Grow Up to be Lawyers” and CBS News “5 Reasons Not to Get a Law Degree” don’t help the cause. They point out the high cost of law school, low number of jobs and high level of unemployment. According to the State Bar of California there are currently 191,334 actively practicing law in the state. That is a lot of competition for one area. So, now that you have graduated law school and passed arguably one of the hardest bar exams in the nation, what do you do when faced with these seemingly insurmountable obstacles? Easy, you buckle down. Dig in your heels and fight to be the best damn lawyer you can. You take everything that you learned inside and outside of law school and apply it to becoming an irreplaceable member at your firm. You learn to network and, deep breath, sell yourself. You listen and learn from others who have been there and done that. It may seem like a daunting task, but these tips will help you get there. An elevator speech is a short sales pitch. In your case, the thing you are selling is you. Generally, your pitch should be around 30 seconds to two minutes. You need to be able to market yourself to other attorneys, potential clients and other networking potentials in a short amount of time. In a crowded field you need to stand out, but not sound disingenuous. Promoting yourself does not have to sound like a used car salesman. Use this technique in every aspect of your life. The ability to sell will help you persuade judges, juries, potential clients and other attorneys to agree with you. Enthusiasm goes a long way. It may not be easy right out of law school to practice something you are passionate about. You are likely leaving with a large amount of debt and you have bills to pay. But the quicker you know what you love and start practicing something you are passionate about or working for clients that you truly care about the easier it will be to set yourself apart and to sell yourself. Great sales people know the importance of passion, find your passion. Get invested in what you do, the people you work with and the people you work for. Get emotionally involved in every aspect of your work. It will show, and it will pay off. Find a mentor to learn from. Choose someone who truly cares and who is willing to invest in you. You want honest feedback and you need someone to help you overcome challenges and celebrate victories. Find someone who you aspire to be like, but who is also something like you. Find someone who has some of the same characteristics and traits that you have and that will champion you whenever you aren’t around. The State Bar requires you to be constantly learning and growing as an attorney, but you need to do more than just the obligatory Minimum Continuing Legal Education (MCLE). You should never stop honing your skills. You should become an expert in your field. Once you have mastered a topic, try to get on a speaking circuit. Speak at local bar associations and conferences. Seek out people who do what you do better and learn from them. After you have been practicing for a few years go back to the basics and write a few motions. Work on your argument techniques. Attend training classes and webinars. Watch other attorneys. Become the best attorney that you possibly can and people will take notice. People always take notice of the athlete that is first on the field and last to leave. No matter who you are, no matter where you work, you should always be networking. Burning bridges will never get you ahead in the field of law. While there are a lot of lawyers, the community is pretty close knit. You will run into your classmates from law school. You may be opposing counsel, you may attend the same conferences, you may even be competing for the same job. You never want to leave a bad taste in someone’s mouth because word gets around quickly. A bad reputation can ruin even a good attorney. Look at every opportunity as a networking possibility. Be the person that people think of when they want to refer a case or recommend a potential client. Be the person at the firm that is respected, not trashed behind closed doors. Amicus Media Group provides TV, Radio and Digital Campaigns for national and regional case acquisition. Grow your firm and get the cases from a company founded on Trust, Transparency and Track Record. We look forward to meeting with our many clients and friends and continuing to transform the practice of law. Or reach out via email here. Grow your connections. Send personal invitations to people you may know and tell them how you know them. Conventions and conferences are a great way to network and then connect via LinkedIn. You may be surprised at how many people know each other within your circles. Connections on LinkedIn are also great referral sources. Seek out attorneys that work in other fields than you practice and refer out cases outside of your field. Use the Profile Strength Meter. LinkedIn provides a number of tools to help you understand how it works and get started. The Profile Strength Meter will tell you where to add more content and will provide an All-Star profile rating once the meter is full. Your search results discoverability will increase the fuller your profile is. On that note: your profile should be up-to-date, professional and free of spelling errors. Make sure to proofread anything that you write on LinkedIn and never publish an article without personally reviewing it. Schedule posts frequently. Along with making sure that your profile is up-to-date, you should also get into the habit of publishing regularly. Use LinkedIn Publisher or an outside managing service like Hootsuite to publish content to LinkedIn and all of your social media accounts. The more you post, the more visible your profile will be. Make sure you have a separate Firm Page. If you haven’t already created a separate page for your law firm. Post to that profile page with relevant articles or updates about your firm. Link to your firm’s blog and any social media accounts as well as your website. Be aware of ethics opinions. As with all platforms, you should be aware of any ethics opinions issued by your state. Steer clear of any potential conflicts of interest. Be very careful of listing yourself as an expert or specialist and make sure that others are not endorsing you in a field of law that you do not practice or listing you as a specialist when you have not been certified as a specialist. Pay special attention to state bar rules concerning advertising and marketing and how they apply to social media platforms. Toot your own horn. Don’t be shy about showcasing what makes you special. Add Skills to your profile, list certifications under “additional education,” add any special projects that you may have completed. Make sure to use your summary section to the fullest. This is the time to share what makes you unique, what makes you someone that a client would want to hire. Get and Give. Send requests for recommendations. Get them from a variety of sources and make sure that they are people that would truly recommend you. Never post fake recommendations and make sure that the people you solicit for a recommendation know specifics about you. While you are collecting recommendations, make sure to dish some out. Be honest and detailed when giving recommendations and endorse other attorneys or field experts where appropriate. Customize. Add media to your profile. Consumers are drawn to images and videos. There is no reason that your LinkedIn profile should be left out of this trend. Make sure you personalize your LinkedIn URL and all other areas of your profile. Where you can customize, do it. Use a call to action with your firm website links. Make people want to visit your blog. Utilize all of the features that LinkedIn has to offer. Somewhat new to all of the profile perks? Use LinkedIn’s Help feature to read through guides and information on how to get started. Know your target audience. Design your profile to appeal to potential clients. Showcase your experience according to what a prospective client might be looking for. Know that LinkedIn is a great referral source, feature skills on your profile accordingly. Be sure that your profile is professional with a photo that is a good representation of you. Pay attention to your professional headline. Avoid seeming unprofessional with a cheesy headline. Make sure it is clear and concise. Think about who is reading your profile and what you want them to know about you. It is your introduction to potential connections that don’t know you and are trying to learn more about you. LinkedIn Novice? Unsure of where to start? Amicus Media Group can help. Connect with owner Bill Tilley today to learn more about the importance of your LinkedIn profile and how to expand your social media platforms. LinkedIn can help you grow your law firm practice, get the help you need today by contacting us today at (888) 700-1088. An appeals court decision out of Pennsylvania has opened Johnson & Johnson up to punitive damages in thousands of pending Risperdal cases. The decision came from a three-judge panel that ruled the lower court had improperly decided that the laws of the plaintiff’s home state should not be applied. The Appeals court disagreed with that decision remanding the case for further consideration on the interstate issue. Wisconsin, Stange’s home state, allows for a plaintiff to recover compensatory and punitive damages which would greatly increase the amount recovered by Stange and other plaintiffs of the nearly 5500 pending Risperdal cases. Wisconsin law caps punitive damages at $200,000 or twice the amount of any compensatory damages awarded according to the court decision. The decision to apply New Jersey law was a global order that applied to all of the consolidated Risperdal cases. The challenge and results of the appeal will, thus, be applied to all of the cases that were consolidated as part of the mass tort program in the Philadelphia County court. Contact us to learn more about Risperdal litigation and other mass tort cases. At Amicus Capital Group and Amicus Media Group are dedicated to bringing you up to date information on pending litigation, court decisions and mass tort news. 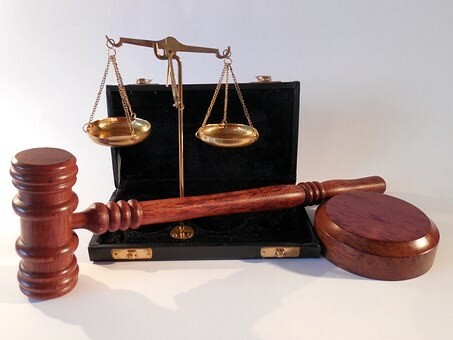 We can help provide you litigation financing and capital for your cases. At Amicus Media Group, we focus on case acquisition developing a solid media campaign for acquiring the right kind of cases for your law firm. Find out more by contacting us today. The legal marketing game is rapidly changing. Tools and tricks used for years on end simply do not work anymore. Algorithms change faster than most people get haircuts. Search engines such as Google and Yahoo are one step ahead of the game and you should be too. The question is how? How do you compete when you are busy running your law firm, caring for your client, preparing for litigation – being a lawyer? The simple answer is delegation. You can’t be expected to keep up with the ever-changing world of search engine optimization, marketing through social media, promoting your brand and establishing yourself in a crowded marketplace. So, you must adapt to the new world that requires specialized knowledge of legal marketing and the new landscape that is shaping. Enter a law firm marketing department. Whether you decide to have one in-house or hire an outside company, this will be a team of highly-trained individuals who serve the purpose of marketing your firm and the attorneys that work there. They will help you develop a solid business plan and set the goals necessary to achieve that plan. Without them, you may spend a lot of time and a lot of money wondering what’s working and what’s not. You may be missing out on crucial revenue that is going straight to your competitors. The marketplace is crowded, overrun with people who do the same thing that you do. The truth is they may not do what you do better, but if potential clients are hiring them, then they do have a better marketing team. How do you make this a reality in 2018? Find your dream team. You should have a marketing manager that you trust, and that understands your vision. You want them to perform an honest assessment of your firm’s goals and prospects. You want them to show you how you will set yourself apart in an otherwise overcrowded field, and most importantly you want to see results. You need to start thinking about marketing money differently. The money you spend on marketing – if spent well – will pay dividends. 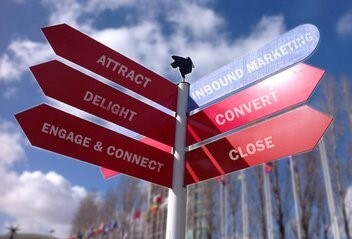 Invest in the right marketing team, and you will see a return on your investment. Do not use this as a “get out of jail free card.” You need to make sure that your money is being put to good use. Regularly check in with your marketing team to see real-time results on how money is being spent and what is making the biggest impact. Hold them accountable and vice-versa. Change is hard, adapting can be even harder. Your goal for the first six months of 2018 should be to find the right legal marketing team. Look for transparency, proven track record, and trust. You will be relying on this individual or team of individuals to take your firm to the next level, so take your time and make a wise investment. Once you have the right people in place, go over your business plan for the next year. Then look five years out and ten years out. Set realistic short-term and long-term goals and then put steps into place on how to achieve these goals. Your marketing team will help you understand the new legal marketing landscape and what you need to do to compete. In a controversial move, the California Supreme Court has ruled that pharmaceutical companies can be held responsible for inadequate labels on generic drugs, even after they have stopped manufacturing them or sold the drugs to other companies. The contentious 4-3 decision held that large pharmaceutical companies such as Novartis can be sued for failing to update warning labels on generic drugs even though the generic drug is manufactured by a different company. The suit arose after a mother of twins took a generic version of Brethine (Terbutaline). Brethine, a name-brand asthma medication being used to suppress premature labor, was produced by Novartis until 2001. In 2007, aaiPharma Inc, bought the rights to manufacture the generic version of the drug. The drug, according to the lawsuit, is believed to have caused developmental delays and autism in the twins. In 2011, the US Food and Drug Administration warned against giving the drug to pregnant women for a prolonged period. The drug was designed to relax muscles helping to open restricted passageways during an asthma attack. Prior to 2011, doctors believed that it could also relax uterine contractions in the hopes of preventing pre-term labor. The FDA did not approve the drug for this use, but it is believed to have been used on more than 260,000 women. While no direct link between the drug and autism has been established, the FDA issued a warning that it is unsafe to be taken while pregnant. The California court found that brand-name manufacturers are responsible for strengthening a warning label and that the duty to warn consumers over potential harmful effects is not relieved by another company manufacturing a generic version of the drug. Ultimately, the California Supreme Court has opened the door to sue the name-brand manufacturer of a drug for failing to update a warning label if there is foreseeable harm to the consumer. The dissenting opinion in the ruling argued that the decision was contrary to rulings across the United States dealing with the same issue. Many courts have refused to hold a drug company responsible for previously manufacturing a particular drug, thereby releasing liability once they sold the rights to manufacture the drug. The responsibility, according to the dissent, is absorbed by the new company. It is the responsibility of the current manufacturer to update all warning labels as the need arises. Need to Know More? Have clients contacted you about potential lawsuits? Amicus Capital Services and Amicus Media Group are dedicated to bringing you the latest information on Mass Tort Litigation and Class Action Lawsuits. We can help you with financing and building a comprehensive digital and off-line campaign to reach potential clients. We care about you and can help you help your clients. Contact our offices today to learn about national and regional case acquisition.